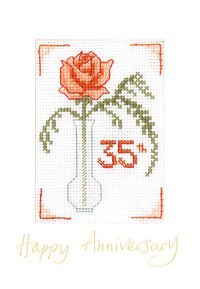 View basket “Floral 35th Anniversary card” has been added to your basket. 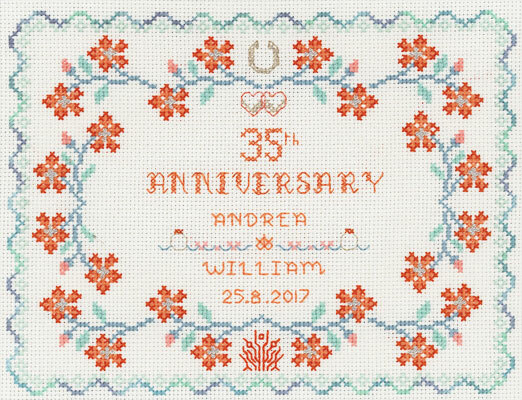 These symbolic emblems are stitched with metallic threads to make them gleam. These symbolic emblems are stitched in silver and gold threads and so they shimmer and gleam. 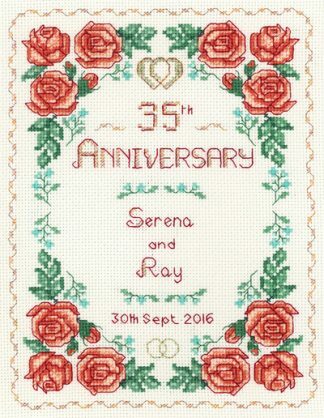 Zweigart fabric, DMC thread, metallic threads, Mill Hill beads, needles. 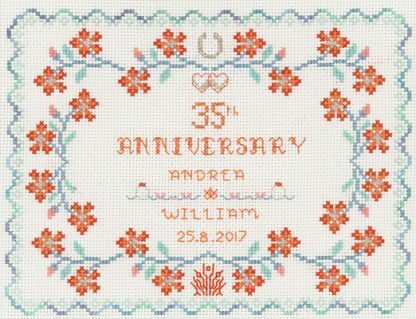 This 35th Wedding Anniversary Sampler kit is from the Decorative Textiles collection.